Discover the numerous highlights of this beautiful country with an expansive tour visiting the cities like Sydney and Melbourne, delving into the outback and allowing for exploration of the Great Barrier Reef. On arrival at Perth Airport, transfer to your hotel in the colourful port city of Fremantle, where you will enjoy a welcome reception. 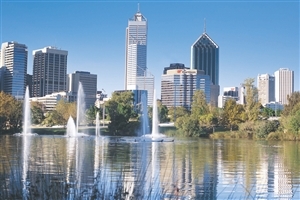 Discover Perth including the untouched bushland, Botanic Gardens and walkways of beautiful Kings Park. Return to Fremantle on a leisurely cruise along the Swan River. The next day is free to explore at leisure. Perhaps discover the port’s many historic buildings or enjoy the vibrant atmosphere of Fremantle Markets. Alternatively, join one of a selection of optional experiences (not included) such as a day on beautiful Rottnest Island or a visit to the stunning natural scenery of the Margaret River Region. 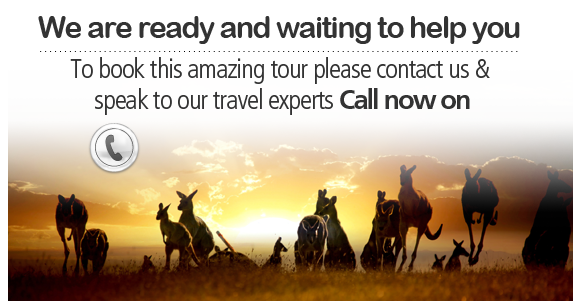 Transfer to Perth Airport for your flight to Alice Springs. 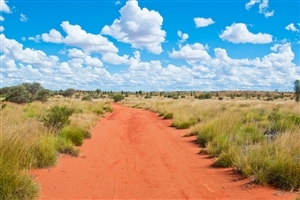 This famous outback town is the geographical centre of Australia and has an enchanting pioneering history and ancient indigenous culture. Enjoy panoramic views of Alice Springs and surrounding MacDonnell Ranges from Anzac Hill, then visit the Royal Flying Doctor Service and School of the Air. The remainder of the day is at leisure. For the more adventurous perhaps take an optional ride on a camel, and a balloon flight over the desert at sunrise (not included). Next morning travel tothe Uluru-Kata Tjuta National Park. 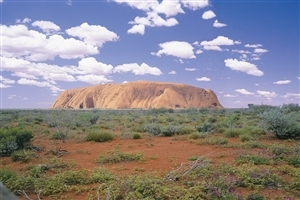 In the afternoon visit Kata Tjuta and Walpa Gorge and enjoy a glass of wine while watching the sun set. Join a unique optional experience (not included) and dine under the canopy of the desert night. Marvel at the sunrise over Uluru and take a guided tour around its base viewing ancient caves and Indigenous rock art sites. Later, fly from the heart of Australia’s Red Centre, to the sparkling blue waters and green rainforests of Tropical North Queensland. Cruise by fast catamaran to Reef Magic’s exclusive reef activity platform. Snorkel in the sheltered coral lagoon, take a walk through the underwater observatory, join a guided tour on the semi-submersible or glass bottom boat, or simply relax on the spacious sundeck. 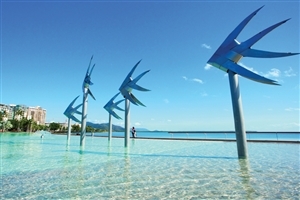 Enjoy Cairns at your own leisure. Perhaps join an optional experience (not included); take a hot air balloon flight over the Australian bush; travel by train and cableway to Kuranda; or discover the Daintree River Region where the rainforest meets the reef. Fly to Melbourne, famous for its cutting-edge designs and heritage architecture, parks and diverse village-like suburbs, fabulous arts and world class sporting action. This morning discover the city’s highlights, including Cook’s Cottage and the Royal Botanic Gardens. The next day explore Melbourne at leisure - take a ride on the free City Circle Tram, or dine like a local at one of the buzzing laneway restaurants. Alternatively, take an optional experience (not included); enjoy a sightseeing cruise on the Yarra River; discover the breath-taking Great Ocean Road; or enjoy a memorable dinner aboard the historical Colonial Tramcar Restaurant. Fly to Sydney. Wrapped around a spectacular harbour, this glamorous city is home to the instantly recognisable icons of the Opera House and Harbour Bridge. Today we discover the city’s incredible sights, including tranquil Hyde Park and the golden sands of Bondi Beach. Enjoy a relaxing harbour cruise and step inside the Sydney Opera House for a guided tour of this architectural masterpiece. With a couple of days at leisure, perhaps venture out into the city’s spectacular surrounds such as the Blue Mountains National Park or the Hunter Valley. Or perhaps enjoy a bird’s eye view of Sydney’s famous coast and waterways aboard a seaplane or climb the Sydney Harbour Bridge (not included). This evening transfer to the airport for your flight. Please Note: All content and services, including overnight hotels and number of nights, are subject to change and may vary from the inclusions as shown in the itinerary. 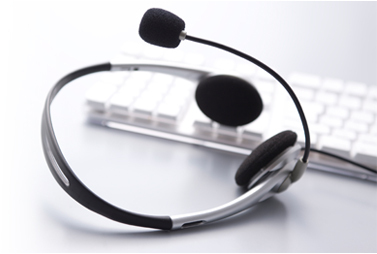 Specified hotels/content/services are therefore not guaranteed, however we and our suppliers undertake to ensure that any alternatives provided will always be of a similar standard or content/service type.